As a homeowner, you do your best to keep your home well-maintained at all times. But no matter how diligent you are about home maintenance, there comes a time when you are going to need a new roof. The effects of time and weather take their toll on a roof. You may be wondering if you need a new roof now or if repair work is a suitable alternative. Read on to learn how to make that decision. When your roof is damaged or is otherwise in poor condition, it can’t do its job properly. It may be more susceptible to damage from strong winds and leaks might begin forming. Furthermore, pests and rodents may find their way into your home more easily, causing damage to your possessions. A damaged roof could also result in climate control issues, and you may discover that your heating and cooling costs skyrocket until the roof’s condition is properly addressed. Some roof issues can be addressed through repair work, but there are instances when you need a new roof to provide the best protection for your home. These are a few common signs that the time has come to replace your existing roof. One of the main reasons why you may need a new roof rather than repair work is because the roof is old. When you keep your roof well-maintained, an asphalt shingle roof can last for two to three decades of use. Roofs made from materials like clay tile and metal have a longer lifespan. However, every roof has a limited useful life. When a roof approaches the end of its lifespan, it’s likely more cost effective to replace the old roof rather than to sink more money into repairs. The uppermost layer of your roof may be comprised of asphalt shingles. These shingles must be perfectly aligned and lay flat against the underlying materials in order to create an impermeable barrier. Some weather conditions combined with age may cause shingles to curl upward around the edges or to buckle in the middle. It may be reasonable to replace a few shingles that show this type of damage. However, when many shingles are damaged, a roof replacement may be a smart idea. A roof inspection from a certified roofer may provide you with more information about the need for a new roof. 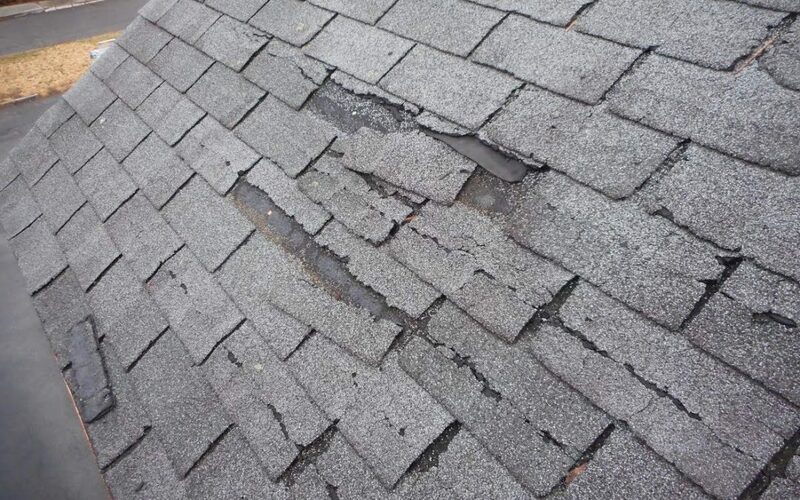 Just as damaged shingles cannot do their job, missing shingles are also problematic. The most common reason why shingles may be missing from your roof is bad weather conditions. Very heavy rains and strong winds may result in the loss of a few shingles. A couple of shingles may be replaced, but missing many shingles over a wide area may mean that you need a new roof. While you may notice some missing shingles from the ground level, a professional can inspect your roof from a higher vantage point upon request. When you look up at your roof and see all shingles in place and lying flat, you may be inclined to think that your roof is in great condition. However, you should inspect the ground around the perimeter of your home. If you spot black granules on the ground, you may need a new roof. The presence of these granules on the ground or even in your gutters indicate that the shingles are deteriorating. Shingles without granules can’t effectively repel water and protect your home from moisture. Checkpoint Home Inspections serves the Northwest Oregon Coast with home inspection services. Contact us to schedule an appointment.